This week we saw the Husky Band and Cal Band combine together at halftime in a fantastic show that featured both bands marching the entire show together. Thousands of miles away Michigan and Michigan State combined on the field for yet another combined show. 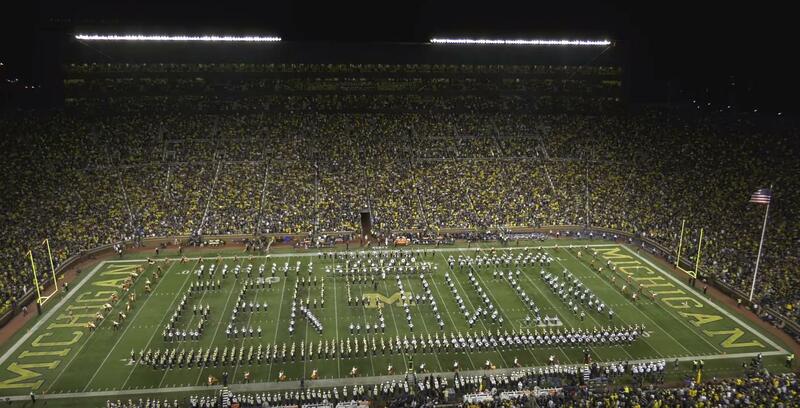 It isn't typical to have bands play together at halftime, let alone march together too. We've seen collaborations in the past, but this takes it to a whole new level. In order to pull of a show like this, the band Directors have to chart the show for all 700+ members. The bands then practice their drill separately. They combine on Friday and Saturday for rehearsal and bring it all together. It isn't easy, which is why we appreciate these shows so much. Watch as the Michigan Marching Band and the Spartan Marching Band join together to unite the state of Michigan in epic fashion. Share and enjoy this wonderful show. That 1812 Overture finale was incredible! Who will be next? Let us know if your band is planning to collaborate with another this season so we can make sure to feature you here.